Dawson focuses her research on understanding how planetary systems beyond our solar system originate. She is interested in identifying the key factors that contribute to planetary formation and evolution and that lead to the wide variety of planetary orbital and compositional properties observed in extra-solar planets. She combines simulations and theory with statistics and data analysis of observed planets to test theories of the origins of planetary systems. Dawson is developing a comprehensive blueprint to help understand newly-discovered planets in the context of their system’s formation and evolution — important factors in whether the planets may harbor life. 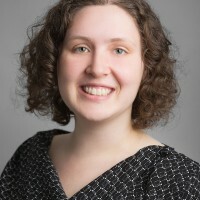 Prior to joining the faculty at Penn State, Dawson was a Miller Research Fellow at the Miller Institute for Basic Research in Science at the University of California – Berkely from 2013 to 2015. She earned a doctoral degree in astronomy and astrophysics at Harvard University in 2013 and a bachelor’s degree in astrophysics at Wellesley College in 2009.